At Andover Central High School, we strive to create a safe and enjoyable learning experience for all of our students. In maintaining this positive learning environment, we rely and encourage students and parents to report bullying to ACHS staff. Bullying behavior typically takes place in areas removed from adult supervision. Gaining popularity among bullying behavior is the ability to target victims remotely using technology based tools such as texting and social networking sites. Whether it is verbal, physical, or cyber bullying, we want your help in reporting bullying in a timely fashion. It is important that ACHS staff become actively involved in bullying situations in their earliest stages. 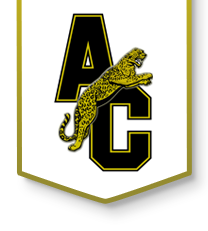 It is important that students understand and abide by our bullying policies at Andover Central High School. We will try to help students who are bullied. We will make it a point to include students who are easily left out. When we know somebody is being bullied, we will tell an adult at school and an adult at home. If a bullying issue involves a direct threat, we encourage students to report the threat immediately to ACHS staff and or SRO. If the threat occurs outside of school it is important that you contact an adult or law enforcement. If not a direct threat, students are still encouraged to complete a form to report bullying. This form should be used to report an issue that does not involve a direct threat and reporters will remain anonymous. DIRECTIONS: Please complete this form with as much information as possible. Email a copy to (optional).